The word mystical is derived from the Greek mystikos meaning “secret,” and muo meaning “concealed.” Why all the mystery? Why is it concealed? Why do people keep it a secret? This seems like shady business. But is it? Why all the mystery? Why is it concealed? Why do people keep it a secret? This seems like shady business. But is it? The reason is that the deepest truths of life are those which cannot be described in language, they cannot be spoken, they cannot be formed into intellectual concepts and then arranged into words. Because of this limitation they are often known as mysteries. It’s not that the mystics don’t want to divulge the secret, many very much do. But everything they say about it falls far short of being it. All language is symbol, it is pointer, it is referencing something else, a truth of some kind. But if one has not experienced that truth for one’s self, then the language is empty and meaningless, or worse, misleading. The word is not the thing. The map is not the territory. The menu is not the meal. 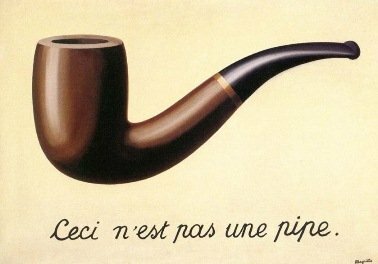 Or as one Belgian painter put it, Ceci n’est pas une pipe (This is Not a Pipe). Even if we take a photograph of a real pipe, and look at it, it is still not a pipe. It is a photograph of one. A “pipe” is the word we’ve created to refer to an object like the one represented in the above photo. 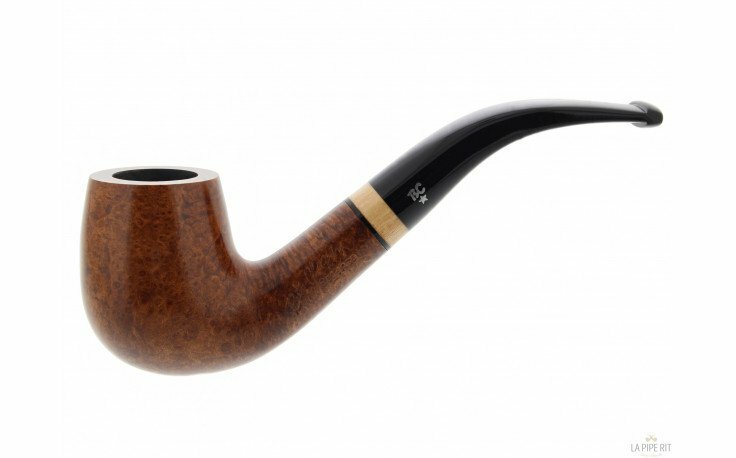 You’ll notice that even the word “pipe” is not the object, it just points to one, and most of the time it is the platonic pipe, an idea in our heads of what a pipe is. Note that this idea is not a pipe either, but just an idea of one. In order to know and have a pipe, in a more full sense, one must actually have one in one’s hands, turn it over, examine it, look at it up close, use it, etc. No representation of a pipe will be a pipe, and it is lacking much information about pipes. But does even having a pipe constitute knowing it fully? Do we know what it is made from, how it was formed, how it is used, the exact dimensions of it, the type of paint that was used on it, its origin, who its maker was, when it was made, etc.? No. But for most purposes having a pipe in one’s possession is sufficient to say “this is a pipe.” We recognize the shape, the color, the details, and we match up the platonic image of a pipe in our head with the object we’re holding in our hands. This is the general problem that mystics run into. They have done some spiritual practice, whether it be contemplation or meditation or prayer or something similar, which evoked a mind-blowing mystical experience, one that they feel revealed to them the ultimate objective Truth of life and existence. But there is absolutely nothing that they could say about it that would actually communicate what that Truth is in full. And, of course, many mystics, sages, saints, prophets, gurus and others throughout history have said many things about their experiences, and these are contained in the world’s scriptures, holy texts, spiritual texts, and even some scientific texts. But many people read them and are still confused as to what it means. They don’t understand the texts. They sometimes feel like the wool has been pulled over their eyes, that they’ve been deceived, lied to, misled, or that the texts are simply false. In a sense this is true, because the words can never be the experience that those mystics had. It only points to their experience. To know what those mystics experienced you would have to have been them, or experience something quite like it yourself. It is in the mystical experience that the Truth is made known, that the secret is divulged, that it is unveiled, revealed, unconcealed, and this with a force incomparable to any other communication tool known to humanity. It is coming into knowledge directly, first-hand, even a knowledge of Truth itself, or Reality. When the mystics say that their experiences are ineffable, indescribable, beyond words, they mean it. It’s not just that the experience was really amazing, and they would have to be a poet to describe it sufficiently, but that it actually is not possible to put it into language, it is not possible to communicate it through words to another person such that this other person knows it like the first. When they are compelled or forced to say something about their experience, they will sometimes attempt to form it into words, into language, into sonnets and poems and music and books, but they will often lament that their words are weak, faulty, imperfect, impure, and problematic. Often the mystic will try to help guide others to do the exercises, do the practices, do the contemplation, meditation, prayer, or otherwise, in order so that they may experience it for themselves. And if they are successful, these too will come to know this Truth that is “secret” and “concealed,” and in this they will come to be known as “initiates,” one who “knows” the mysteries, which is another meaning of the Greek mystikos.